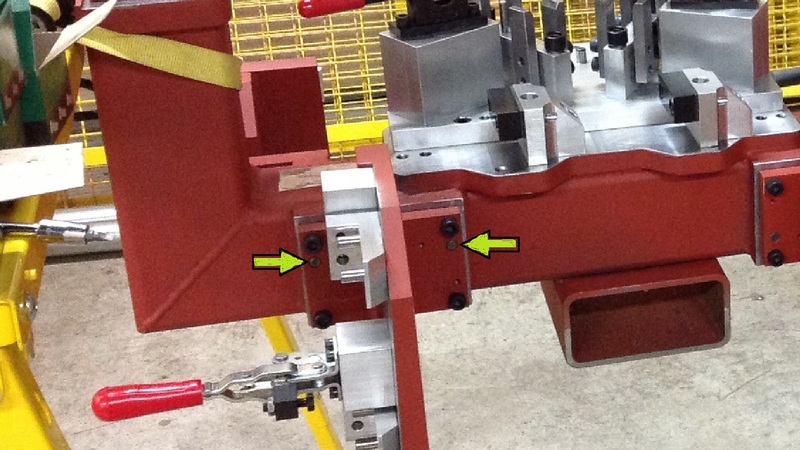 Weld and Assembly fixtures used in mass production must repeatedly hold the part positions in exactly the same place every time. That means, even after the operator has banged on it, and aggressively placed parts in the fixture many times, the product coming out of the fixture is close to perfect every time. One of the major fasteners in machine design for holding tooling components in a precise location over time is… (drum roll please) Da ta dahhhh…. The Dowel. 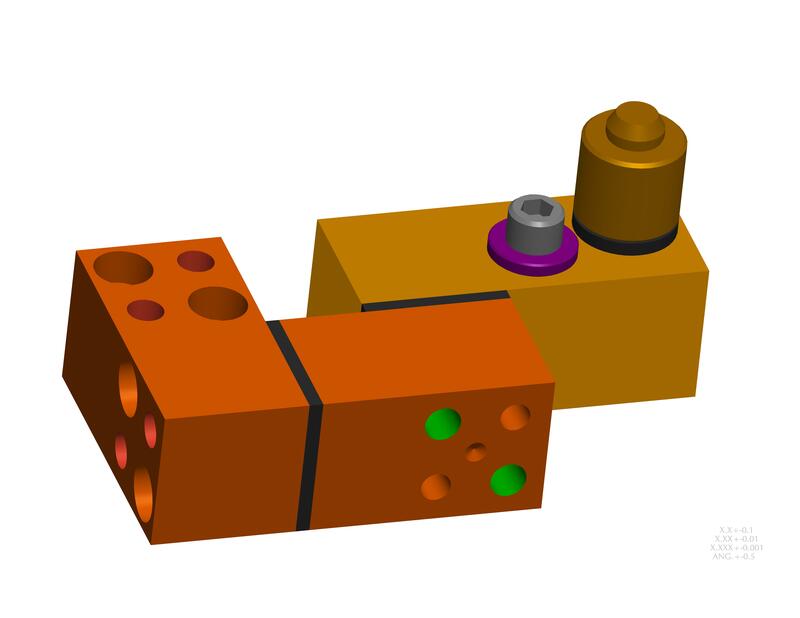 So if you are just starting out in machine tool design as a CAD drafter, Machine-tool designer or as an Manufacturing Engineer, you need to become very familiar with dowels. Before we get into the pointers and rules for using Dowel Pins, let’s talk about what a dowel is and why use it. Just in case you haven’t learned it yet. 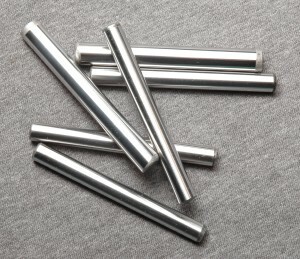 Dowel pins are machined to tight tolerances. The holes that they go into are reamed holes also with a tight tolerance. That is when the hole is a slightly smaller diameter than the dowel. So during assembly the dowel pin must be pressed with force into the hole. That is when the hole is just slightly larger than the dowel pin. It slides into the hole and slides out easily. Rentapen’s CNC operator, John, shows you how he inspects the slip fit dowel holes in RAPid Tooling Components in the video below. He will show you what a slip fit looks like and sounds like. Keep in mind the difference between Slip Fit and Press Fit because we will be talking about it later. The tight tolerancing is what makes dowels so wonderful for holding precision in machine tool fixtures. But it also makes it more expensive. So only use them when you need precision and consistency in your production parts. A drill through hole for a bolt has a loose fit. The looser fit it easier to machine, but it allows the machine-tool components to move slightly one way or the other due to the sloppy fit. So if you don’t use dowels to hold a tooling component in place and just use bolts, there may be significant “play” or variation. When mounting a tooling component with dowels only use two dowels. Whether it’s a small block or a great big base plate. ONLY TWO. Notice the weldment pictured above is attached to the base of the weld fixture with two dowels (arrows). The dowels are not placed right next to each other, but far apart. 1) If you have to pound the dowel in, it is so much easier to get out if you can just pound it out. 2) Air. There is no place for the air to go. In the video, the “sound of the slip fit” was a light pop due to the small space allowed for the air to slip out or back in. But with a press fit it can be impossible to get the dowel in because the air at the bottom of the dowel hole can not escape. c) drill a hole from side to the bottom of the dowel hole. You still should use a dowel that can be removed without pounding it out since there won’t be access for that. As you mount a tooling component to a base plate or other tooling component never have one dowel going into a press fit hole in both parts. One part will have two press fits and the base plate or other tooling component will have slip fits. In our design standards at Rentapen, we color the 3D model hole surfaces green for Slip Fit and Red for Press Fit. This makes it easier for the designer and checker to see if there is the correct match of a slip fit to a press fit in the 3D assembly. The dimension from dowel to dowel. Different companies have different standards for locating dowel holes. Ordinate dimensions can be three place of four place depending on your company standards. Dimensioning from dowel to dowel, again depends on your company standards. But for linear dimensions always dimension from dowel to dowel. For example, some companies dimension from edge to the first dowel. And then from that dowel to every other hole in the part. So the dimension from the edge to the dowel (in most cases if not critical) would be a two place decimal (for inch). And then from dowel to dowel it might be a 4-place decimal. The key point here is, learn your company standards for dimensioning and follow it. That’s the RULES for DOWELS! Now that I have talked about the rules, there is more to learn. Like what is an H7 vs h6. This is a tolerancing/call-off standard that some companies use. I have found good conversations about that on the Mechanical Engineering Site. Happy New Year from Rentapen. We hope your new year is fixtured with fun and learning. And don’t mix flat-head screws with them – use a low-head – if it’s too thin for a standard SHCS. Flat-heads lock down, because they are used for semi-locating – when you do not have dowels. I’m tired of seeing them improperly used, and I’m tired of seeing people have to beat them out of thin parts – with an impact driver. Good point, old manual guy. Thanks. I would say only use Flat Head Screws with very thin parts and definitely not parts that need the precision of dowel locating.